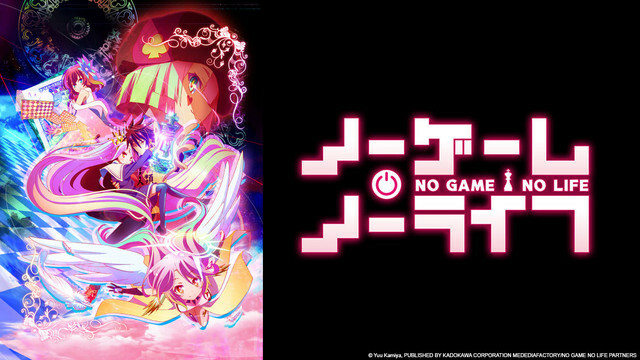 Next up for Crunchyroll's spring 2014 anime announcements is No Game, No Life. 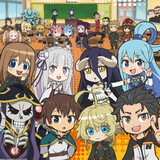 The series is set to broadcast every Wednesday, with the first episode arriving for premium members on April 9 at 8:30am Pacific Time. 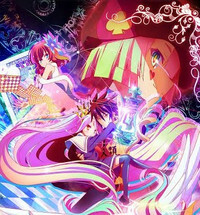 No Game, No Life will be available in the following territories: USA, Canada, UK, Ireland, Australia, New Zealand, South Africa, and Latin America. Based off of the light novel by Yuu Kamiya, No Game, No Life centers on a brother- sister hikikomori (shut-in) duo who have notoriously spawned urban legends all over the Internet of their gaming skill. 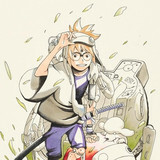 One day, they encounter a boy named “God” who summons them into an alternate world. In this world where war is prohibited, sixteen different races fight for control but competing through various games. Humanity has been driven back to one final city. Will Sora and Shiro be able to save humanity from the brink of extinction? 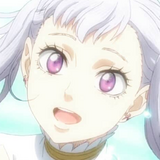 Voice actress Ai Kayano, known for her roles as Menma from Anohana and Kasumi Takamiya from Witch Craft Works, will be playing Shiro. 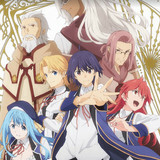 She is joined by Yoshitsugu Matsuoka, who has appeared in roles such as Kirito from Sword Art Online and Titus from Magi, playing her brother Shiro.